In general, ootb analytics do not satisfyingly meet the need of all customers as far as getting insights in the use of sharepoint are concerned. This post provides an overview of vendors that offer additional analytics capabilities for sharepoint or that can be used in combination with sharepoint. The idea behind the article is that it’s a useful starting point for people starting the decisioning process. It also contains a list of useful evaluation criteria that can help to decide which product is right for you. On purpose, we refrain from saying: product x is better than product Y because this depends too much on personal preference and the weight a specific feature is given within your organization. Here is the list of analytics solutions we have looked at, listed alphabetically. Adobe Analytics used to be known as Omniture, but is renamed in 2013. Before Omniture, this product was known as SiteCatalyst and was partly built on a product called Hitbox. According to http://www.slideshare.net/maverickaman/ga-wt-omtr this product is superior to Google Analytics. Adobe Analytics require web analytics data to be stored in the cloud, there is no option to store data on premises. There will certainly be scenarios where this is a deal breaker. Although not a specific sharepoint analytics solution, this tool can be leveraged to provide analytics insights in SharePoint. Angelfish ( http://analytics.angelfishstats.com), made by Actual Metrics, is an on-premise solution that stores web site traffic in a safe way. Actual Metrics is founded by an ex-employee of Google and supposedly both companies still have strong ties. Angelfish is a generic web analytics solution and replacement of Google Urchin. A big advantage of this solution is that it is able to import Google Analytics data. Although not a specific sharepoint analytics solution, this tool can be leveraged to provide analytics insights in SharePoint. Cardiolog Analytics Cardiolog Analytics (http://www.intlock.com/intlocksite/productsandservices/cardiolog/cardiolog-analytics.asp) is made by Intlock, a Microsoft Gold Certified partner. This product offers extensive SharePoint web analytics features since 2005 and offers advanced capabilities regarding the analysis of end user interaction. ControlPoint (http://www.metalogix.com/Products/ControlPoint.aspx) was originally built by Axceler Inc., then purchased by Metalogix, and seems to be intended for an admin audience, although it does contain a reporting part. In our experience, Metalogics offers extensive product documentation and responds to questions quickly. The ControlPoint product has won several awards (such as Best of TechEd for Productivity and Collaboration) and adheres to several certifications (such as U.S. Navy DADMS Approval). DocAve Report Center (http://www.avepoint.com/sharepoint-reporting-docave/) of AvePoint provides insights into usage analytics (as well as a lot of other stuff, such as SharePoint performance and security settings). The vendor is well known, although the reports seem to be intended to an admin audience instead of a business audience (because of the nature of the reports, but also because of the amount of privileges required to use report center). One of the interesting features of the product is that it allows admins to detect suspicious activities of end users. Google Analytics (http://www.google.nl/intl/nl/analytics/) collects web analytics data but stores them in the cloud. GSA may very well be the de facto web analytics market leader and provides an excellent solution for that, but not every company is willing to hand over their data in custody of Google. 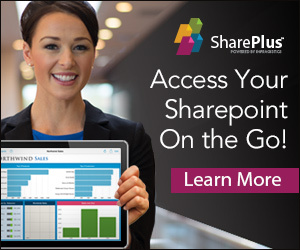 HarePoint Analytics ( https://www.harepoint.com/Products/HarePointAnalyticsForSharePoint/Default.aspx) is built by a Russian company that has nice looking SharePoint specific reports, extensive documentation, easy installability and a good price/quality ratio. IBM Digital Analytics Multisite IBM Digital Analytics Multisite (http://www-03.ibm.com/software/products/en/enterprise-digital-analytics) is a generic web analytics environment. At the time of writing, the IBM marketing department has not indicated how suitable this product is for SharePoint, but a solution by such a big player is worth mentioning here. NGAGE Enterprise Analytics (http://www.ngageintelligence.com/products-sharepoint2013.shtml) is an advanced solution built by a relatively small USA based company. What sets NGAGE apart from the rest is that it uses advanced datawarehouse/BI technology to analyze data, fully based on the SharePoint BI suite. Nintex Analytics (http://en-us.nintex.com/) is a well-known company specialized in building SharePoint products. It supports SharePoint 2010 until July 2015, but does NOT support SharePoint 2013 and according to current plans this product is dead. Unilytics Mergence SharePoint Analytics Mergence (http://www.unilytics.com) is a product of Unilytics Corporation and a specific analytics solution for SharePoint. It seems that Mergence is not a stand-alone product, but one that integrates with several well-known web analytics products such as WebTrends, Omniture and Google Analytics. At the time of writing, we got an HTTP 404 – Page Not Found error when navigating to Products > Mergence for SharePoint Analytics, so maybe this product is dead. Site Administrator for SharePoint (http://software.dell.com/products/site-administrator-for-sharepoint/) is a SharePoint monitoring and reporting product originally built by Quest and now owned by Dell. 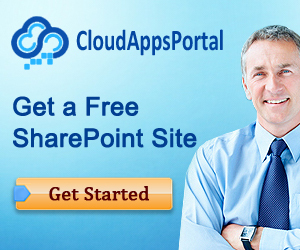 This product is aimed towards admins, but offers enterprise-wide discovery and fine grained reports about the entire SharePointnvironment. Site Administrator for SharePoint has won the Gold Community Choice award of 2013 by Windows IT Pro. WebTrends SharePoint Analytics (https://www.webtrends.com/products-solutions/analytics/sharepoint-analytics-use-cases/ ) is a web analytics pioneer and offers a SharePoint specific analytics solution that is used by more than 300 major enterprises and was developed keeping close contact with the Microsoft engineering and product teams. WebTrends seems to be the market leader as far as SharePoint Analytics go and the product has one several awards and recognitions (such as Industry Leader in Web Analytic volgens Forrester Web Analytics Wave 2014 and Member van de Microsoft SharePoint Partner Advisory Council). – What are the license costs? – What are the software requirements and what is the architectural impact on your SharePoint farm? – Is it possible to store data on premises for privacy reasons? – Is it possible to view the number of visitors per site collection/site/list item? – Is it possible to present data anonymously (without displaying user names) or even possible to store analytics data anonymously? – Is it possible to view the Last page request within a session? – Is it possible to define which audience sees reports (such as admins, site owners or normal end users)? – Is it possible to export reports to other formats such as PDF, Excel or extract report data via a web service? – What’s the status of the vendor in the market? – Which customers are using the product? – What are the response times of support and what is the quality of the answers provided? – What’s the product’s ease of use? – Is it a SharePoint specific or generic solution? – Is it good at protecting the analytics data? – Is it possible to configure fine-grained security permissions for specific reports? – Does it have advanced BI capabilities (such as trend prediction)? – Does it offer goal-driven paths functionality (that allows the report admin to specify goals about end user interaction, such as the number of clicks needed to place a comment)? – Does it offer report drill-down capabilities? – Does it allow to create custom reports? – Does it offer real-time reporting capabilities? – Does it allow filtering during data collection? – How does it impact the performance of the SharePoint farm? – Does it provide reports about social behavior within SharePoint? – Does it integrate with analytics data of social platforms such as Yammer or other sources of analytics data? – Does it have pruning capabilities (that allows one to remove historic data because it is no longer relevant)? – Does it support Spike Analysis (to analyze a very specific period of a couple of minutes during which sharepoint was extremely busy or lots of errors occurred)? – Does it support heat mapping (to analyze which parts of a page are more popular so that the user interface can be improved)? – Does it support Visitor segmentation (the possibility to divide visitors in groups based on interests)? – Does it support Annotations (that allows you to add notes to specific reports)?